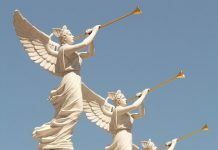 Apocalyptic fears were sparked among people in Chile as a strange trumpet-like noise was heard for two minutes, frightening animals and people. Dogs were barking in fear and the atmosphere was eerie, as the loud, unknown sound went on during the night. 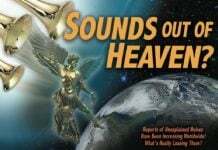 However, some social media users were not so convinced that the sounds were from the heavens, suggesting rather that the noise could have come from a steel industry somewhere nearby. “Honestly this sounds like a shipyard, construction or mining sounds,” one user wrote. You make your own decision. I have made it already! SOUNDS OF THE APOCALYPSE…SKY TRUMPETS MAKE ANIMALS GO BERSERK IN CHILE JUNE 8 2018!!! 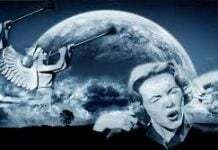 Andromeda contactee, Alex Collier was told by Andromedan (people from Andromeda Galaxy) that Galactic Federation of Light is going to follow the book of revelation to make the New Earth. 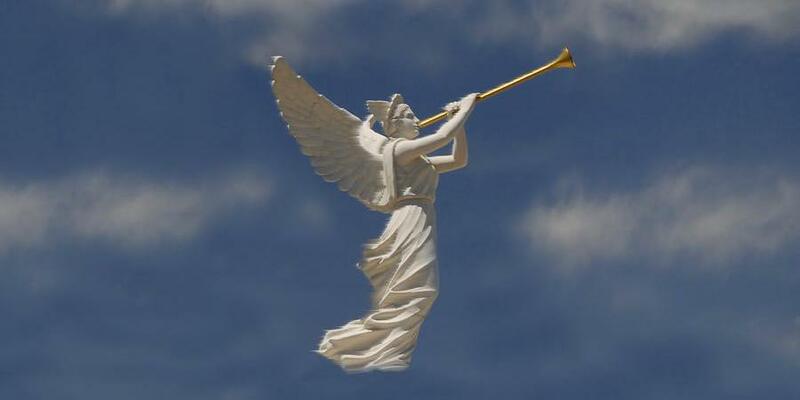 These trumpet noises should be made by them to let people know the big change will be coming soon. Oh no other earthquake in Chile. Oh no otro terremoto en Chile. Oh no Other HAARP earthquakfe in Chile. These strange sounds could come from the air driven from the bowels of the earth by movements or rising magma. The air trapped in the earth’s crust would then be expelled by more or less large faults, which gives rise to these strange sounds which probably symbolize the famous Trumpets of the Apocalypse, this End of the Times in which we live. In reality, the planet swells under the gravitational effect of the Black Sun (Nibiru, Nemesis = revenge of Satan-Lucifer on the victory of the Cross), which causes here and there ruptures of its skin, what we call sinhkoles . All this combined with the High Solar Minimum produces the serial disasters we see every day. This is obvious with regard to the current extremely intense and even frightening volcanic activity since we do not know how far that will go. The Yellowstone shows signs of obvious awakenings, and there is no reason for it to be the only volcano in the world that escapes the general trend of increasing activity. Underwater volcanoes are probably more numerous than surface volcanoes. Combined with the rise of the magma, this causes a warming by the grounds and a melting of the glaciers from below, by the base. All this adds to a growing seismic activity, which is pure logic. The intensification of earthquakes will go to completion: a giant earthquake traversing the entire planet and far exceeding the force 10 on the Richter scale. In addition, chemtrails have a great responsibility in some unusual phenomena today. Composed of a whole lot of crap, metals, viruses, blood, nano particles etc., they cause an agglomeration of the matter in the manner of the egg white. From then on, the hailstones take gigantic sizes. It would be very useful and instructive to analyze the composition of such hail in the laboratory. It would contain aluminum, barium, selenium, nano particles etc. as we know that. Chemtrails are like the “Swiss Army Knife” for eugenic and genocidal powers. They are the most clearly visible manifestation of the diabolical enterprise of global depopulation, even more obvious than poisoned food. With the chemtrails, the powers can pour on this world all the imaginable poisons, to destroy any particular form of life, like the insects (about 80% lost today), the birds, and all the animals. The almost complete disappearance of the animal kingdom is a Biblical truth. Today, the widespread destruction of all life on the planet is orchestrated by the worst individuals that humanity has known. Although they serve the Plan of God without knowing it and of course without meaning, these bastards of Satan desecrate the Human species like no one else before them. – Volcanic activity and chemtrails which throw an extraordinary amount of matter into the atmosphere, which prevents solar radiation from reaching the ground with its full power. All the catastrophes that once were part of the exceptional, are today everyday. They will continue to grow exponentially … until the End Parousiac. It might be purposefully sunken by the Satanic Reptilian Organization (Illuminati) for human sacrifice. There are many cases like high rise building apartment fire, ferry sink, or bus bombing or fire, etc… Those satanic worshipers believe they can get power from Satan. Reptilians love the energy of human sacrifice. Reptilian forces operating 3rd dimensional MATRIX and Money Slave System are originally from outer space. They had been in and out of the Earth from the Space Ports where now has been closed because the Earth is now quarantined by Galactic Federation of Light so that those reptilians cannot get in or get out of the Earth. Those Reptilian Forces have established some bases on the Moon, Mars, and some Moons of Saturn. They have mining operation on the Moon of Saturn. Those Reptilian Forces have originally come from Orion belt and Alpha Draconis (Draco Star System). We are familiar to the star, Polaris, or Polar Star is the part of Draco Star System. Why Trump Administration needs Space Force? Probably they like to keep fighting with Galactic Federation of Light. Trump made a speech “We should dominate the space.” Reptilians always love to dominate anywhere and anything. Well, I tell you the game is almost over. Reptilians do not have the enough knowledge and technology to fight against Galactic Federation of Light. Only they have is “Thirst for blood”. People hear sonic boom! The sonic boom also shake houses. It sounded like from underground. But suddenly FBI group comes and dig a ditch. Then FBI shows people “Look! There is a ditch. This must be the reason of sonic boom! The case is closed, and forget about it.” Yes, you are right! FBI comes to your area, and dig a ditch, and tell you the ditch they dig was the cause of the boom shaking. That is the way FBI is making 3rd dimensional MATRIX (=illusion). FBI has been originally created by Rockefeller, the richest reptilian in the world. FBI is covering up the sonic boom and shaking created by the cleaning up reptilian base by Galactic Federation of Light. Salusa, the commander of Galactic Federation of Light contacted me in 2011 trough telepathy communication told me that Galactic Federation of Light was going to clean up all the reptilian underground bases on the Earth. Sometime in 2011, the parking lot of some kind of suspicious office building were occupied by some kind of strange forces carrying an oxygen tank on their back. They looked like they were about to enter some kind of underground space with those oxygen tank on their back. That parking lot was also beside my house in Clearwater, Florida. Just before that, we heard sonic boom and shaking. While I and my sons were watching their movement, a female agent screamed at us “Don’t look!” We were on our property, and we had a right to stay and watch. Obviously that female agent was really irritated that their underground base had been attacked and demolished. Probably, many reptilians might have died, and they were doing recovery operation. The first part of this video up to 0:55 has “Strange Sound”. It is obviously NOT a traffic noise. A mothership had arrived at Scott City, KS for cleaning up operation.